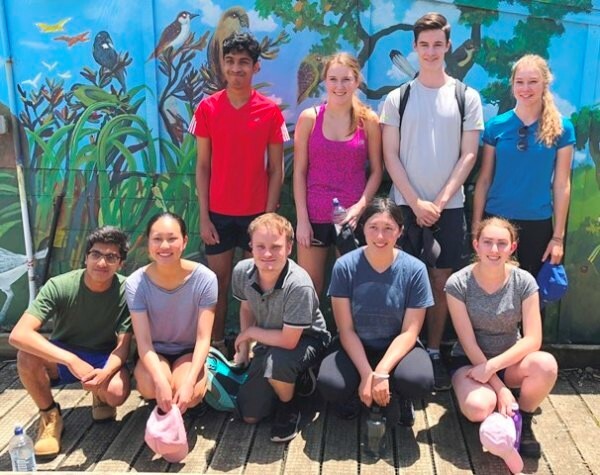 CUE Haven is looking better than ever after a team of eight Gold Duke of Edinburgh’s Hillary Award (the Award) participants, plus a team leader, spent a hard-working week at the nature reserve. Located on the Kaipara Harbour, CUE Haven is a 59-acre property that has been turned into a native forest and wetland for plant and bird life and a reserve for future generations to enjoy. 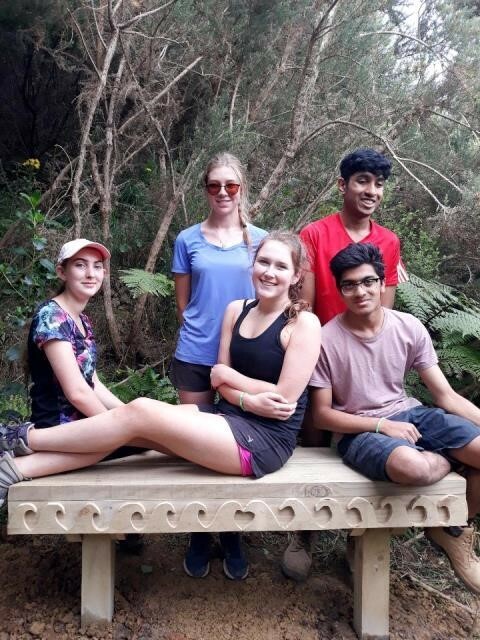 In late January, the keen Gold Award participants arrived at Cue Haven to give a week of their time to work on the reserve for their Residential Project. The warm summer weather meant some of the roads and tracks have become overgrown with trees so first up, the team spent some time cutting back the overhanging branches or weeds. Over the week they also worked on track entrances, dug drainage channels, built railings and a new boardwalk section. Visitors to CUE Haven are given every opportunity to enjoy being in nature so designing, building and installing a bench seat was the final key task that the group undertook. The team worked well together, got a lot done and had a great time. They were out of their comfort zone and gained a wide range of practical skills. Through teamwork and a lot of effort, they have made a lasting contribution that will be much appreciated by visitors to CUE Haven. CUE Haven is one of many organisations who offer Gold Award participants the opportunity to complete the Residential Project section of their Award. Original generation time 3.0830 seconds. Cache Loaded in: 0.0376 seconds.